A diamond is formed when massive amounts of pressure are applied to carbon. Out of a dark, unassuming substance, comes beauty. 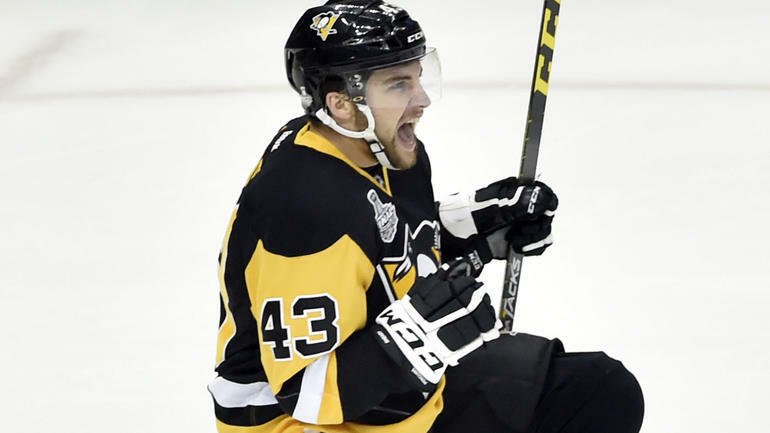 Conor Sheary has become that substance, and for him to transform into that priceless diamond once again, he is going to have to find a way to get through all of all of the self-inflicted pressure. Yes, you read that correctly. Self-inflicted. While Head Coach Mike Sullivan expects a lot of his players, he also knows their limits. He is not the kind of coach that is going to put an ungodly amount of pressure on a player who is still only in his first full NHL season. It has been apparent to all eyes that something has gone amiss with the once-deemed "Mighty Mouse." His decision making has been questionable, his puck handling choppy and sloppy, and in the last eight games, Sheary has only 11 shots on goal and has been downgraded from first to third line winger. This regression in productivity raises eyebrows in the sense that Sheary is a plus-20 goal scorer. He finished the regular season with 23 goals and 30 assists over 61 games played. He was finding chemistry with Captain Sidney Crosby with such ease that it had been like they played together their entire lives. His agility and speed were a perfect fit to flank Crosby. It seemed everything was hunky dory with the Little Penguin that Could. Everything was going right. Since the middle of round one versus the Columbus Blue Jackets, it became obvious that Sheary was beginning to struggle. That struggle continued into round two and to coincide with his "demotion" to playing on the third line, his ice time has also been diminished. During the first two games versus the Washington Capitals, Sheary played 12 minutes, 21 seconds on April 27, and only eight minutes, 50 seconds on April 29. Sheary averages 15 minutes, 56 seconds of ice time. He barely played just over half of that in his last game. Not only that, during this post season the team has been outshot 76-40 and outscored 8-4 at even strength when Sheary has been on the ice. 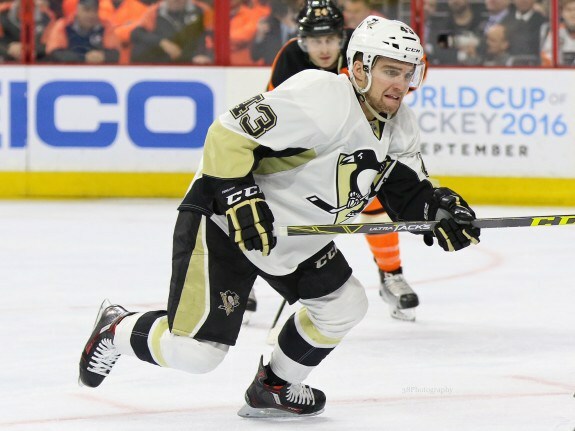 It is easy to see how a young player such as Conor Sheary can become frustrated with himself. He is described as a "very proud player" by HCMS which means Sheary expects nothing short of perfection from himself. In some cases, frustration can build determination. It can fuel a drive and a "do anything to get the job done" mind set. For Conor Sheary, the mounting pressure he is applying to himself means that he has become his own worst enemy. In plain English, he is in his own head too much. The pressure to continue to perform and score at a high level in order to prove his worth and justify his place on the top line is causing him to make mistakes. The added pressure to not make mistakes causes the frustration to worsen and all of that stress is causing his play to suffer. As if there wasn't enough stress, with the grueling schedule and grind of the post season comes games against more physical teams like the Capitals and Blue Jackets. Their body banging and heavy forechecking style of play is taking its toll on the usually speedy Sheary and as such, these teams have impeded and minimized his goal scoring and overall playing ability. For the Pittsburgh Penguins to continue their march towards another Stanley Cup, it will take continued team work and production from all four of the forward lines. Should Sheary remain in his funk for much longer, he risks having to watch the rest of the playoffs unfold from the press box instead of being an active part in them. With the Wilkes Barre-Scranton Penguins season over earlier than expected, it could mean a possible call up opportunity should Sheary's confidence with the puck, and in himself, continue to be absent. 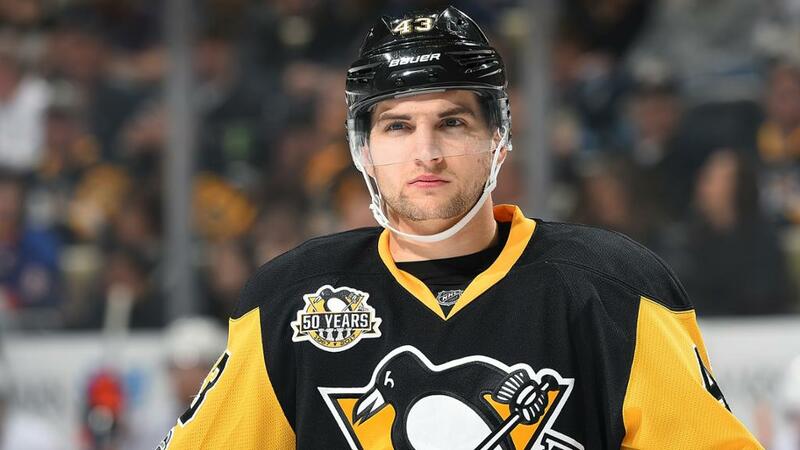 "If you're out there for a couple goals against, it might hurt you, especially confidence-wise," Sheary said in a recent interview with Jonathan Bombulie of Trib Live. "If you are giving up goals and not scoring any, it doesn't look good on your part." Though it will be difficult, Sheary has to find a way to let go of his doubts, stressors, and worries and allow himself to be human. He has to find a way to bolster his spirits and handle the task at hand instead of dragging the baggage of mistakes made in past games with him each and every night. In other words, he has to just play. *UPDATE: As if Conor Sheary's luck could not get any worse, he sustained an accidental yet brutal hit from Patric Hornqvist in Round 2/ Game 3 on Monday May 1. The hit would take Sheary off the bench or the rest of the game. No update has been given yet regarding his injury or playing status.